Is it a cleanser or is it a mask? 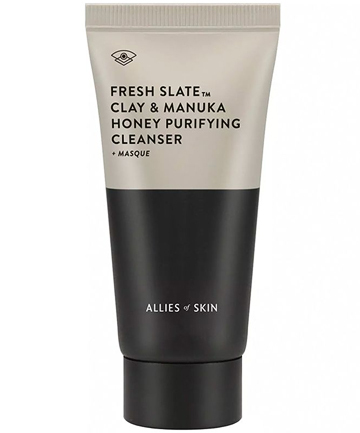 This genius hybrid formula doesn't have the face-cracking-tightness typical of clay masks. Cleanse damp skin with the rhassoul and kaolin clay product or leave it on for 10 minutes to see the pore-refining, soothing and nourishing effects of salicylic acid, medical-grade manuka honey and colloidal silver.